Having a guy for a bestfriend. I wish I had that. I wish I can express everything to with a guy that would listen and know that he will not tell anyone else. He would help me with everything and make me feel happy that I have him in my life. But yet , we’re not dating. I wish I had that. 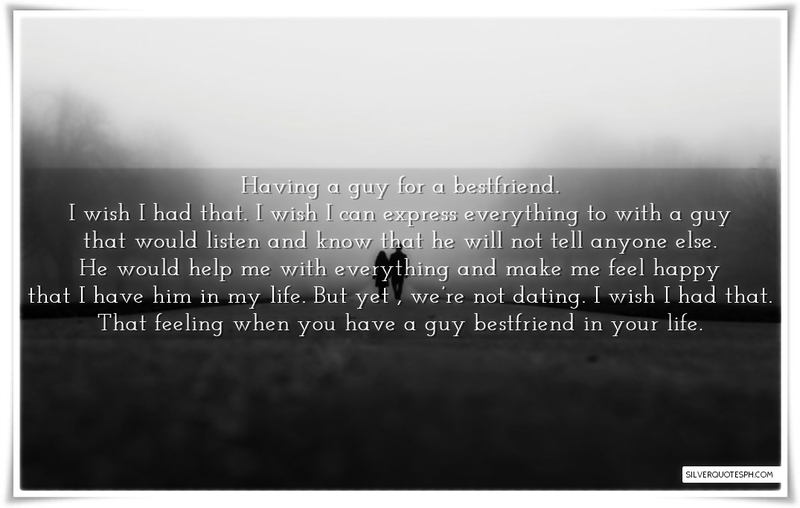 That feeling when you have a guy bestfriend in your life.